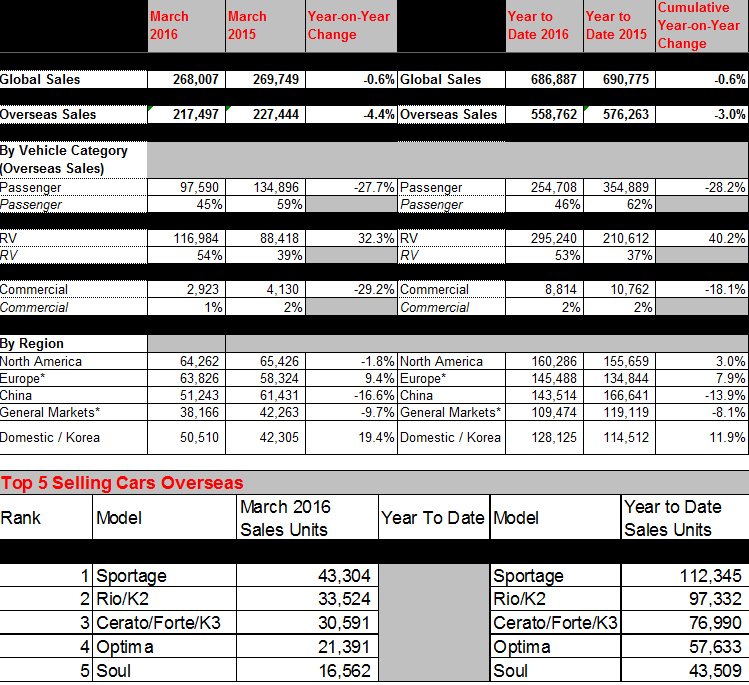 Kia Motors Corporation announced today its March 2016 global sales figures (export sales, domestic sales and sales from overseas plants) for passenger cars, recreational vehicles (RVs) and commercial vehicles, recording a total of 268,007 units sold. This figure represents 0.6% year-on-year decrease compared to the same month of 2015. 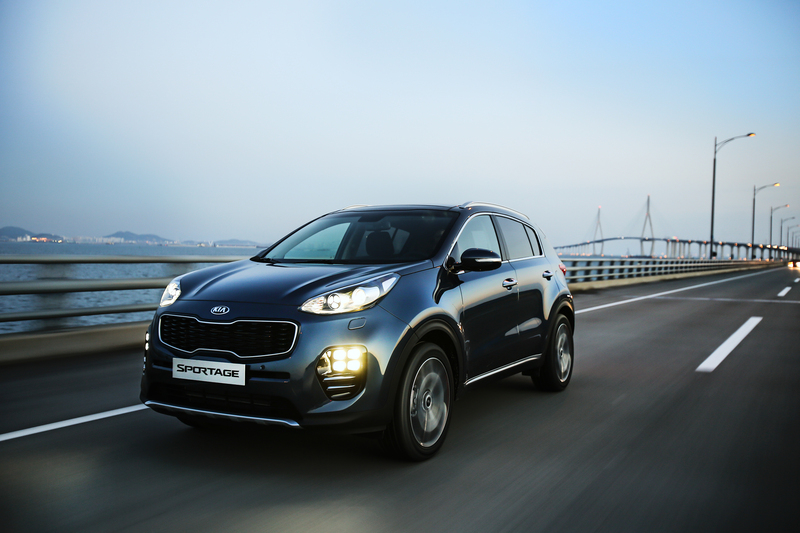 In March, Kia posted year-on-year sales increases in the domestic Korean market (19.4% growth with 50,510 units sold) and Europe (9.4% growth with 63,826 units sold). Cumulatively through the first three months of 2016, Kia’s global sales totalled 686,887 units for a year-on-year decrease of 0.6%. Korea (128,125 units sold), Europe (145,488 units sold) and North America (160,286 units sold) have seen an 11.9%, 7.9% and 3.0% rise in sales, respectively. Kia’s bestselling model in overseas markets during March 2016 was the Sportage compact CUV with 43,304 units sold. The B-segment Rio (known as ‘K2’ in China) was the second best seller with 33,524 units sold, while the C-segment Cerato (known as ‘Forte’ or ‘K3’ in some markets), Optima D-segment sedan and Soul urban crossover followed with 30,591, 21,391 and 16,562 units sold, respectively. Despite this, Kia will introduce new models such as the Niro, who Kia recently said it aims to sell 0,000 units worldwide this year. “We have set a goal of selling 18,000 units of Niro domestically and 20,000 cars globally, targeting young singles and couples in their 20s and 30s,” said Kim Chang-sik, executive vice president of domestic sales, at the launch of Niro in Seoul. Could this be the I30 N Performance or New Generation?